The upcoming lunar eclipse on Wednesday morning will offer a rare possibility for some viewers: a selenelion. 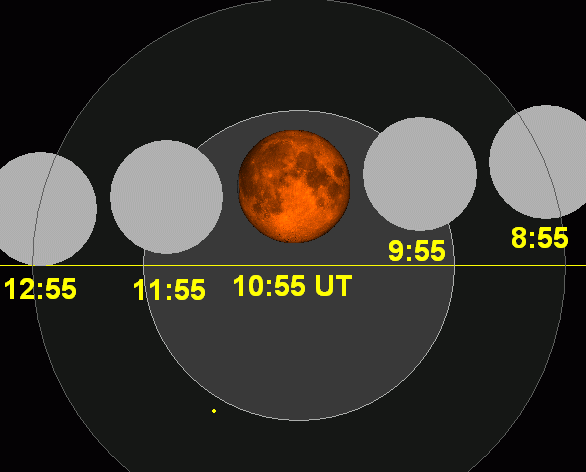 Some locations (east of the Mississipi) may be able to see the setting eclipsed moon and the rising sun at the same time. But wait, it’s an eclipse, so that means that the sun and moon are on opposite sides of the earth, right? Right. So you shouldn’t be able to see them at the same time, right? Wrong. The earth’s atmosphere refracts the light from both, letting you see the sunrise a little early, and the moonset for a little longer. A guide to what part of the eclipse will be in progress at sunrise at various locations is available at space.com. You might just want to get up before sunrise for this one! 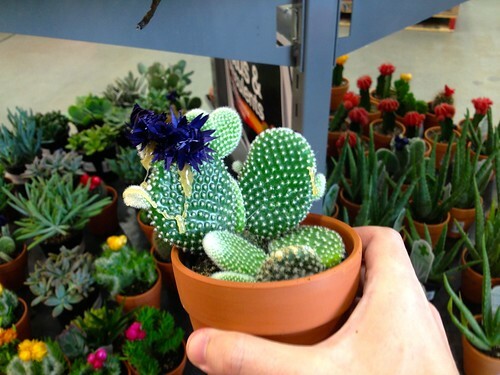 While walking through Home Depot on an unrelated mission, we happened to walk by a display of succulents, and were struck by the unusual blue color of some of the flowering cacti. But on closer inspection, we could see what was really going on: the flowers on the top were attached… with glue. 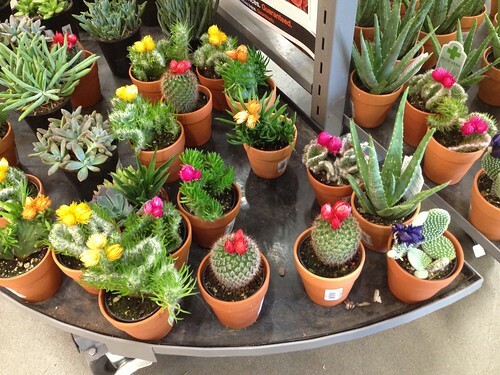 In fact, most of the flowers on the cacti and succulents were glued on. 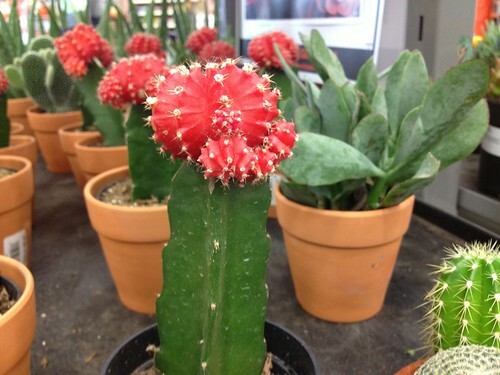 Some of them, like this winner here, even had globs of glue spilled down onto the spines of the cactus below. This is a deceptive (yet sadly common) practice— and apparently many people do get fooled by it —as we found garden forum posts and warning articles about it, including here, here, here and here. This seems not so far away from buying a fruit tree at a nursery, only to find out (once you get it home) that the fruit was only glued to the tree. Strawflowers are used because they keep their color well after drying. 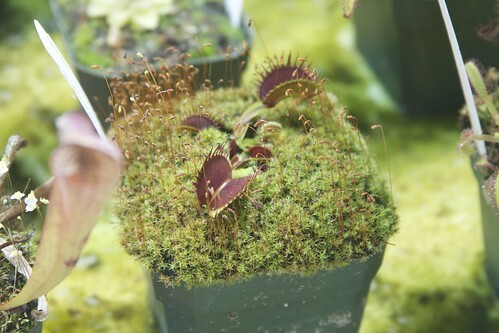 They also open and close as the humidity changes and they absorb more water or dry out more, giving the illusion of being part of a living plant. 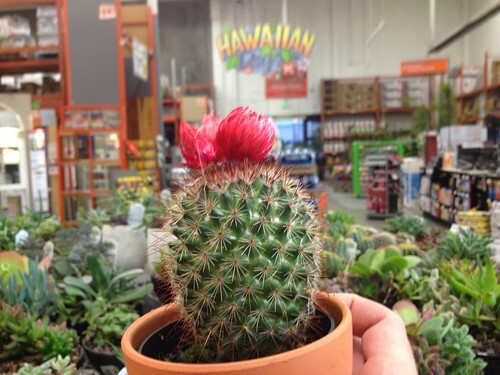 And if it’s not bad enough that the customer is being deceived about the nature of plant they are buying, the glue can often damage the plant below, especially during the removal process. Adrift is a beautiful short film by Simon Christen chronicling the fog of the San Francisco bay. 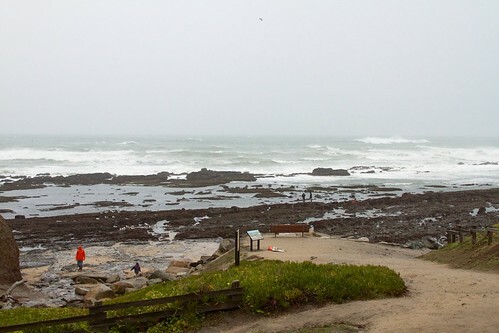 Fitzgerald Marine Reserve is a protected marine and intertidal park located at Moss Beach, California, about 40 minutes south of San Francisco, just north of Half Moon bay. 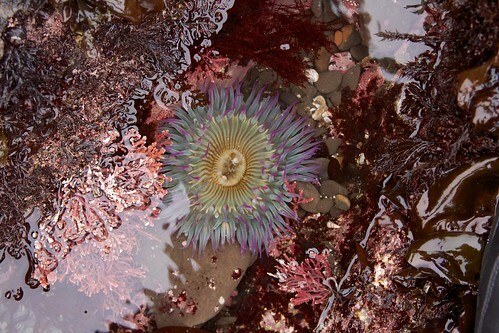 It’s a spectacular place to visit at low tide, for some of the finest, most accessible tide pools in the region. And as you’ll see, there’s definitely a lot to look at. This entry was posted in Field Trips, Nature, Science and tagged nature, snails. Bookmark the Permalink. 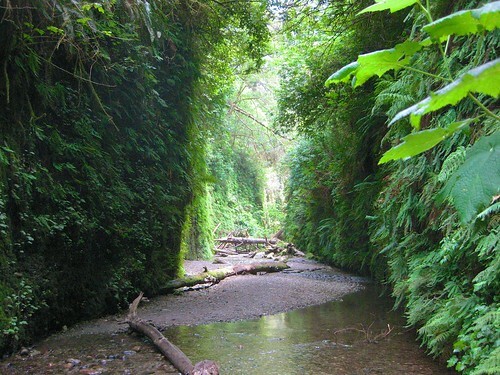 Fern Canyon is a lush little feature of Prairie Creek Redwoods State Park— a tiny winding canyon whose dripping walls are lined with soft ferns and vibrant mosses. The park is located very northwest corner of California, nestled against Redwood National Park. The two parks are managed together, as part of the “Redwood National and State Parks.” It’s a substantial six hour drive north from San Francisco or Silicon Valley, but as you will see, it’s unique, and arguably worth the trip. 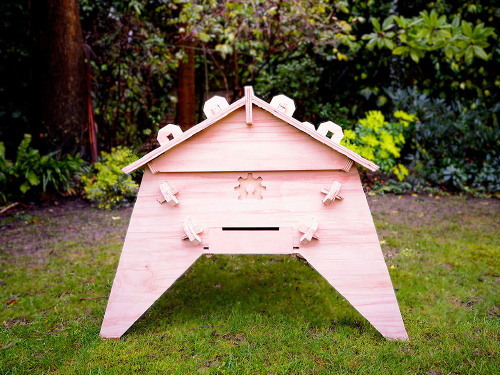 This entry was posted in Field Trips, Nature, Science and tagged nature, science. Bookmark the Permalink. 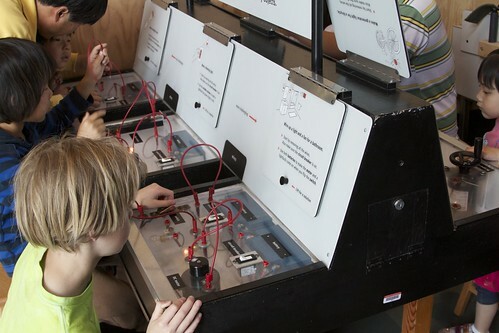 Instead, it’s a place full of simple, often-amazing yet not-too-flashy exhibits that (for the most part) you play with to learn about various phenomena. For example, at the Floating in Copper exhibit, you can get a feel for the un-earthly effects that strong magnets have in the presence of a large block of nonmagnetic, highly-conductive material. 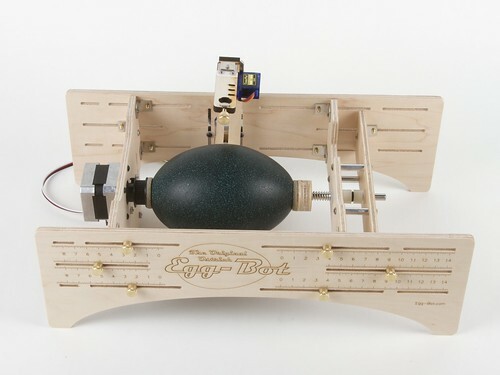 It’s one thing to read about eddy currents in an article; it’s quite another to release a chunk of metal in mid-air, only to find that it floats down to rest, more gently than a dandelion seed. 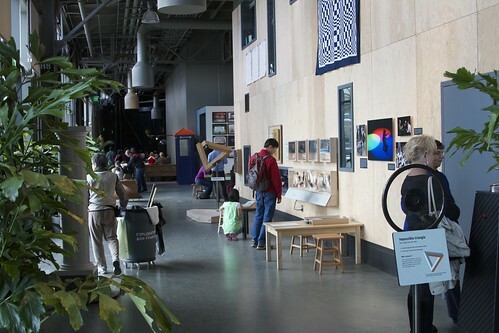 You may have seen this exact exhibit at other museums (here, for example)— and if so, that’s quite likely because the Exploratorium makes many copies of its exhibits for other museums and publishes plans for others to make their own. 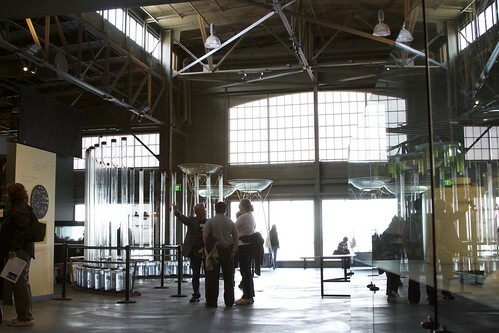 Exterior of the Exploratorium, at the Palace of Fine Arts (2010). Photo by Scott Beale / Laughing Squid under CC BY-NC-ND license. 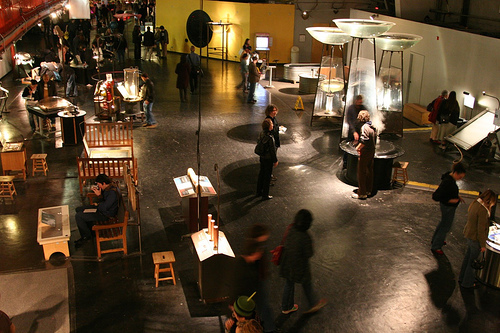 Interior of the Exploratorium, at the Palace of Fine Arts (2006). 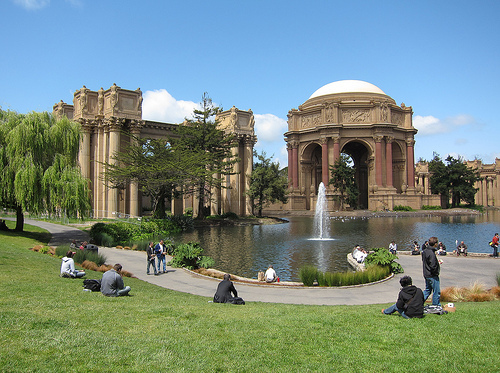 The Exploratorium has, since its founding in 1969, been located in the exhibit hall of the the Palace of Fine Arts— a huge arc of a building left over from the 1915 Worlds Fair, located in the Marina district of San Francisco, as pictured above. 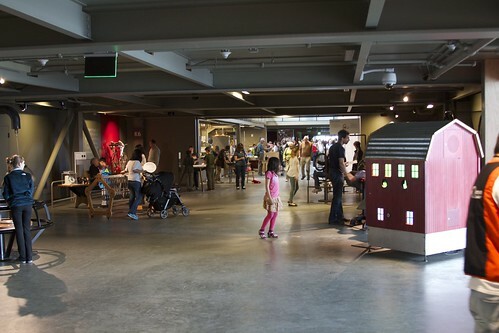 As the name implies, the building was designed to be a museum and was a remarkably suitable home for the Exploratorium. However, a few years ago, it came out in the news that they would be moving out of the Palace of Fine Arts, and into a space on one of the San Francisco Piers. 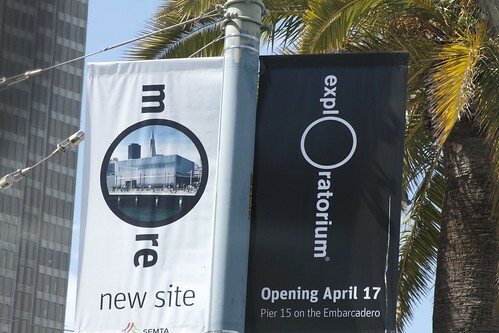 Of course, our hearts sank at hearing this, as we could not imagine any more perfect place for the Exploratorium. Nor could we imagine that they could possibly find a place as large and welcoming anywhere else in San Francisco. We were also worried about parking, as the Palace of Fine Arts was blessed with its own parking lots, a rarity in San Francisco. 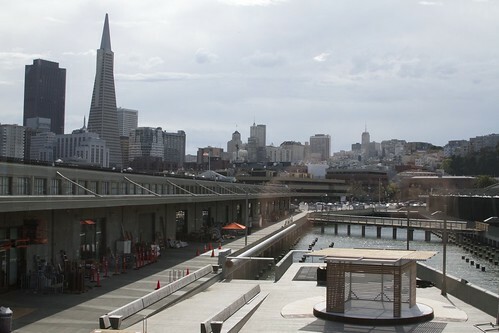 On Saturday, we went to a member preview at their new location at Pier 15, which will be opening on April 17. We took a number of pictures as we explored, and in addition to sharing some of the highlights here, we have put up a flickr set from our visit. 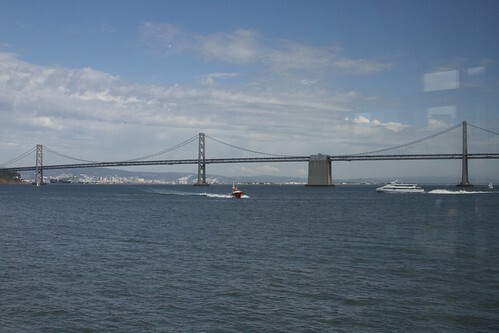 The new location at Piers 15 and 17 on the San Francisco Embarcadero is right between the Ferry Building and Fisherman’s Wharf, in the shadow of the Bay Bridge. A huge advantage of the new location is that it is much easier to get to by public transport than the Palace of Fine Arts was. 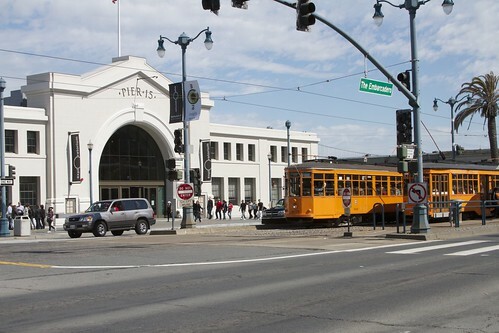 There’s a MUNI train stop, and it’s just a few blocks from BART and the other public transportation that already comes to the Ferry Building. There are also plenty of nearby parking garages and lots. We had no problem finding an inexpensive lot to park in for the day, and now taking the train is an option for us. And it turned out beautifully. Here at the end of the pier, there are a number of new exhibits, many about biology and the bay. The new location is much bigger: there is three times as much space. This view is looking down one of the corridors, from the location pictured previously. The museum is packed with exhibits as far as the eye can see. All of the spaces are well designed, and extremely good looking, taking advantage of the abundant natural light. There are many large open areas, as well as cozy corners and nooks. The Tactile Dome is being rebuilt on a larger scale (in a space with a higher ceiling than this) and will be opening this summer. Activity in the new bio labs is visible through large windows. 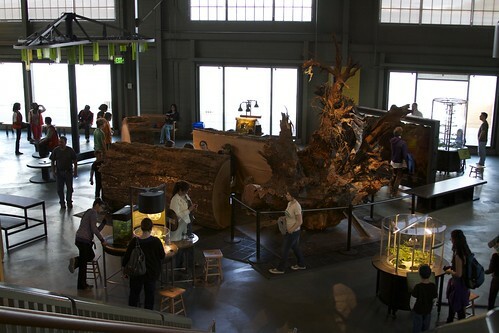 In neighboring spaces, we saw them growing continuous replacement plants for the touchable plant exhibits and various organisms for people to look at under the microscopes. 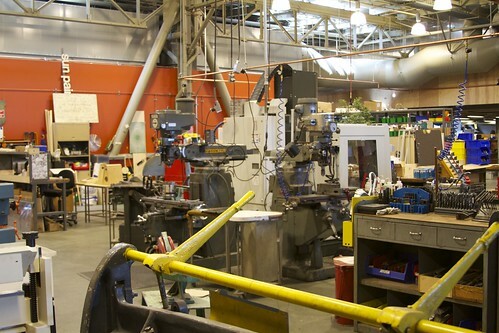 The new location has the same spirit, and despite our expectations, still feels like the Exploratorium. The workshop is just as prominent as before, and still out in the open so that visitors can see new exhibits in progress and old ones being repaired. 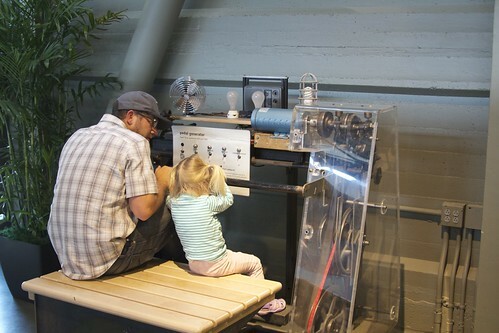 Our old favorites on electricity and magnetism (like Daisy Dyno) felt right at home, and were as popular as ever. The acoustics are much more friendly, making conversations and discussions much more enjoyable. The one new building on the pier is the Bay Observatory, which has stunning views as well as brand new exhibits on bay topics such as geology, geography and tides. 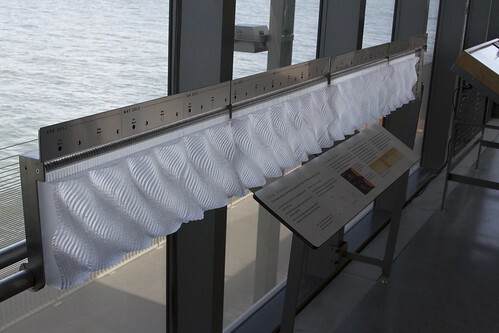 Above is a 3D tide table with the tides for each day represented by a the shape of each piece of plastic marked with the time and lunar information. Since this was an early preview, many exhibits are still in progress or yet to be installed. This outdoor space between Piers 15 and 17 will be opening soon and the museum plans to eventually develop additional space on Pier 17. 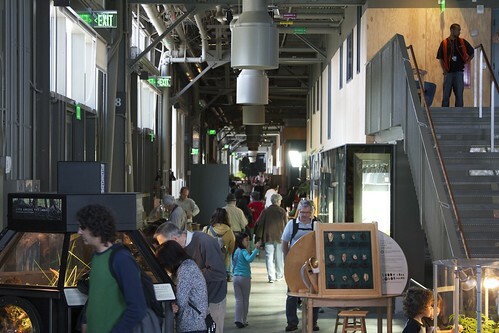 Congratulations to the Exploratorium on such a successful move and wonderful new home! The museum will be opening to the public on April 17, and tickets will be available online soon. There are additional member previews coming up on April 6 and 9 as well— check the calendar for details and other upcoming events. This entry was posted in Art, Education, Field Trips, Nature, Science and tagged bay area, museum, science. Bookmark the Permalink. It’s always good to keep your eyes open, ready to see new things. 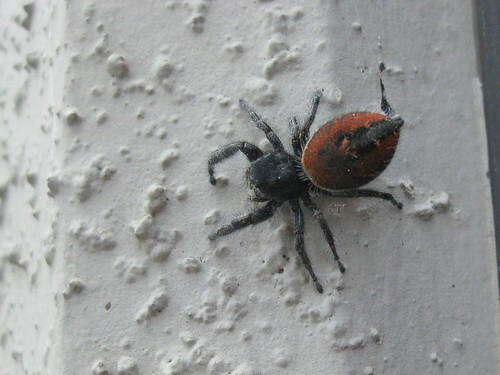 I came across this striking not-particularly-small spider with a bright red velvety abdomen, just hanging out on the concrete side of a building here in Sunnyvale, California. I’ve never seen one of these before! How might you go about identifying it? 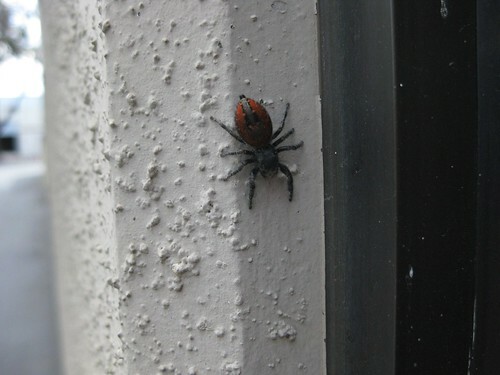 This entry was posted in EMSL Projects, Nature and tagged spiders. Bookmark the Permalink. 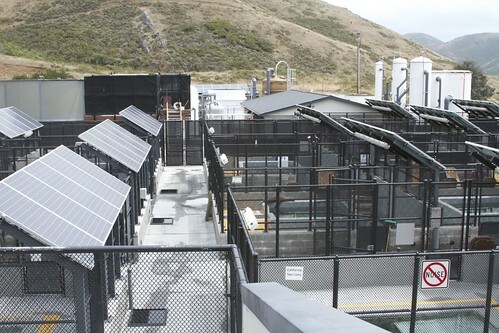 The Marine Mammal Center, located in Sausalito, California, is an institution dedicated to the study and health of marine mammals, particularly seals, sea lions, otters, and whales. In their extensive veterinary programs, they rescue, rehabilitate and often release many of these animals, and work to identify causes of illness and injury. Visitors to the center can see some of the healthier patients (not the ones in the ICU) in these outdoor hospital pens shaded by solar panels as well as the research labs and a great many exhibits about these creatures. 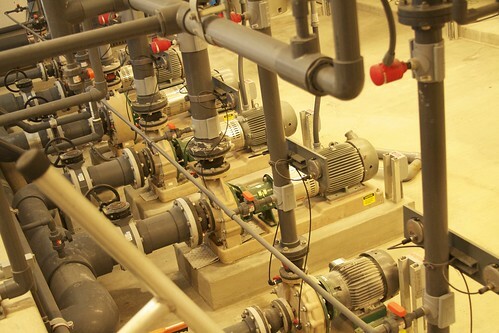 We were recently invited to a behind-the-scenes tour of the center to get a first hand look at some of the amazing equipment and machinery that is needed to run a hospital for these unique patients. In what follows, we’ll show you some of the neat things that most visitors don’t get to see, from glowing purple plasma to Nike missile silo blast doors. This entry was posted in Field Trips, Nature, Science and tagged museum. Bookmark the Permalink.